The Gustavus Jazz Lab Band, under the direction of Steve Wright, will present a special 6:30 p.m. performance of its annual spring concert in Bjorling Recital Hall on the Gustavus campus, Saturday, April 19. This 6:30 performance by the jazz band is free and open to the public. For this performance, Director Steve Wright has selected a variety of works reflecting the wide range of the band’s repertoire. The program opens with Sammy Nestico’s Ya Gotta Try…..Harder, Quincy Jones’ Jessica’s Day and John Fedchock’s Eleven Nights. It continues with Tribute to Miles a set of Miles Davis tunes arranged by Mark Taylor and Gordon Goodwin which includes So What, All Blues, Seven Steps to Heaven and Milestones. The band changes styles slightly to perform the Rick Cornish tune L. A. by Midnight before continuing with the Johnny Mercer and Hoagy Carmichael classic Skylark, sung by saxophone/vocalist Krista Nelson. The program ends with Matt Harris’ Calypsoscope. 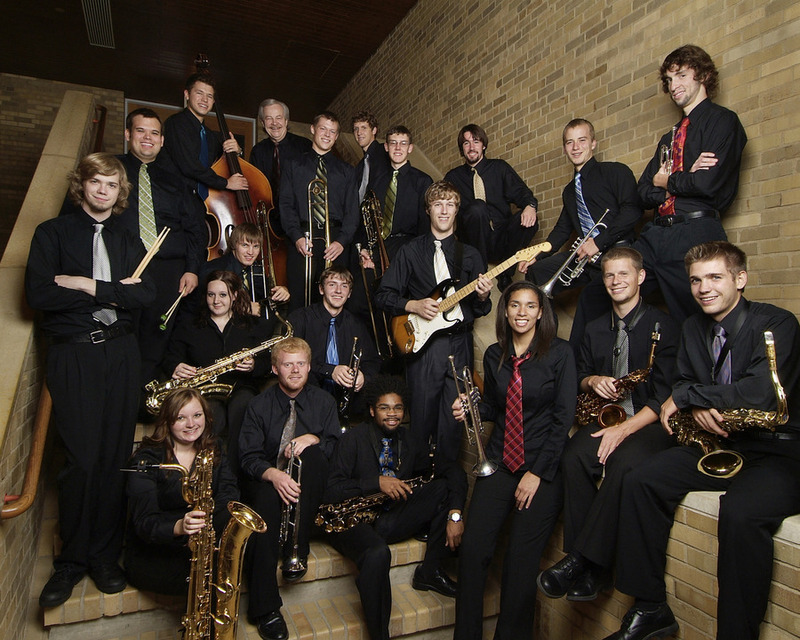 The Jazz Lab Band’s spring concert is scheduled to begin at 6:30 p.m. on Saturday to accommodate an event scheduled later in the evening in Lund Center. This jazz performance is free and open to the public.